In the modern information age, people always receive and save lots of information on their smart phone from all over the world. You can get contact with your family members, friends or any others with your mobile phone by making a simple call, sending messages, emails or chatting with them on Facebook, Twitter or other social network sites; Or you can do many entertainment activities like play games, watch movies, read books, etc. on the device for passing time while you're boring. Thus, with the development of time, more and more contacts, messages and other data will be stored in your phone's internal and external memory, and they may become messy while you're not aware of this problem. So when you have realized it, you may have no way to remedy it within a few clicks on your mobile phone. Then what will you do? How to manage hundreds even thousands of files on your Android smart phone efficiently? Here, we'll take the Motorola phone as an example. Although Motorola phone's market share is smaller than Samsung or HTC, but it is no doubt that Motorola is also one of the most popular Android phone in the market, right? And its Motorola Droid series has won a great welcome all over the world. So here let's assume that you have a Motorola Droid, Atrix or Razr at hand, and you have met a situation which is similar to the case we mentioned above, then how to manage or edit your Motorola contacts or files on the PC? We know that a built-in Motorola Desktop Suite allows users to manage your phone, but it only have the function of backup. Other functions like edit contacts, send messages, install or uninstall apps, etc. are all unavailable here. And many users complain that this Motorola Desktop Suite runs slowly on the desktop computer and always go crash. 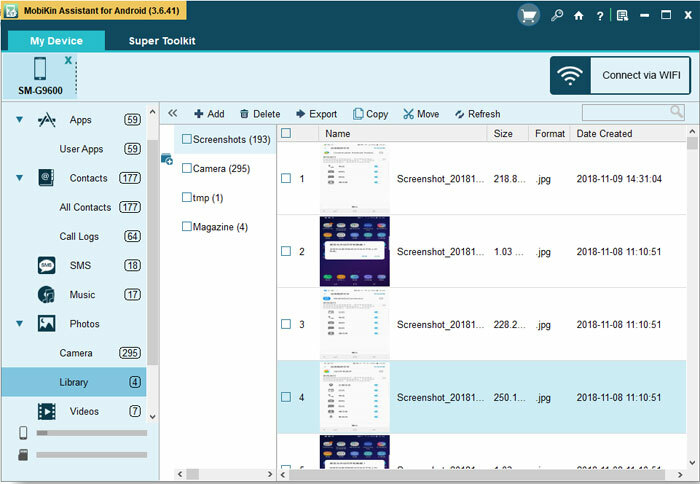 Therefore, more and more users are looking for another desktop application to help them manage Motorola files on Windows or Mac computer easily. That's why we could like to strongly recommend MobiKin Motorola Desktop Manager & MobiKin LG Desktop Manager for Mac for your reference. With it, you can easily backup Motorola contacts, messages, photos, music, etc. to computer with one click, and preview or edit contacts info, send messages on the desktop computer without limitation. 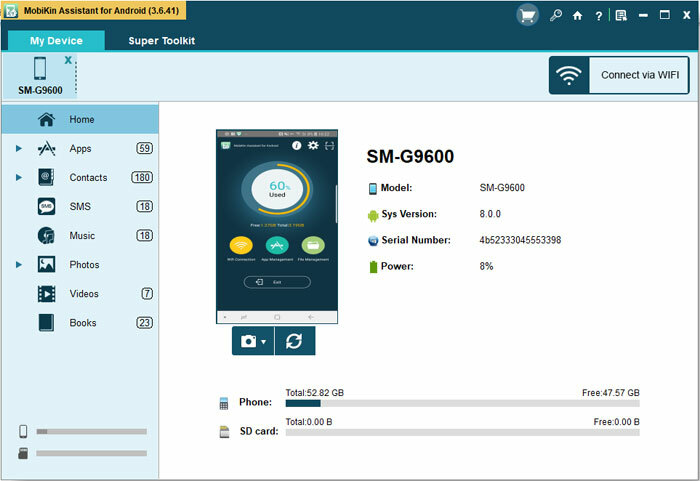 This program is not a single functional tool for Motorola devices, it could be a full-functional helper for your digital life. 2) Media Files: Even though you can take out the SD card and read the contents via a card reader. 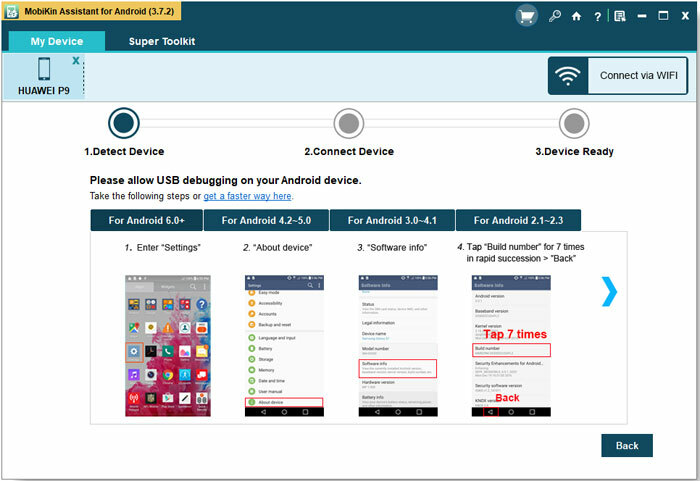 But here this program can provide you a simple way to manage media files like photo, music or movie on your Motorola phone. After selecting "Photo", "Music" or "Video" in the program, you can preview the detailed files easily. And there are some buttons like "Import", "Export", "Delete", etc. for you reference. With them, you can import or export files between Motorola phone and computer freely. Done! After checking the functions of the powerful Motorola Desktop Manager program, do you have a brief understand about it? If you like, you can click the below icon to get more info about the program by yourself!